Samsung has just launched the new Galaxy J5 (6) and Galaxy J7 (6) in India. 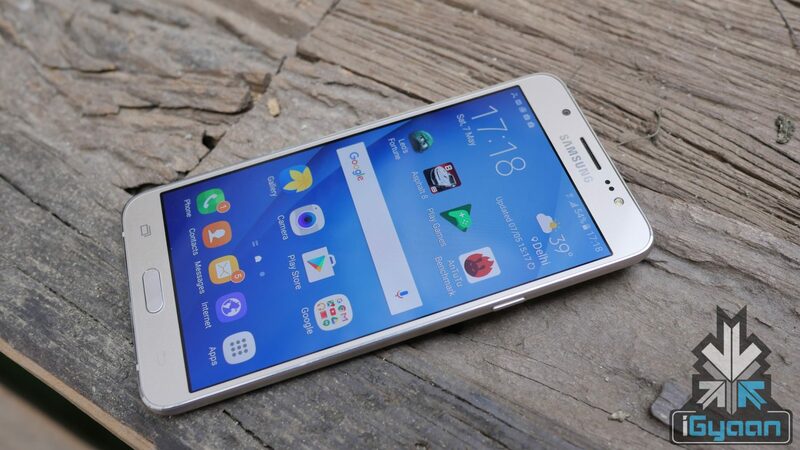 These are revisions to popular Galaxy j5 and J7 from last year which did really well for the company. The new phones add a whole host of features although many may argue with the specs being not up to requirements. The phone features a 5.2 inch display with a 1280 x 720p resolution and a Super AMOLED display. The Galaxy J5 (6) runs on a Qualcomm Snapdragon 410 chipset along with 2 Gigabyte of RAM and 16 Gigabyte of storage out of which 11 Gigabyte will be available to the user. The J5 (6) will also accept 128 GB microSD cards. The J5 is a dual sim phone, with 4g capabilities on both SIMs. 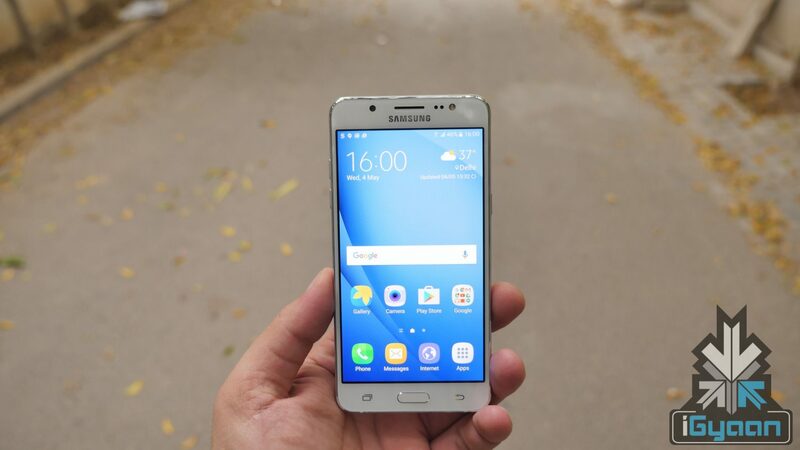 The handset also features the popular data saving mode, which is more enhanced according to Samsung and features better data and battery management. 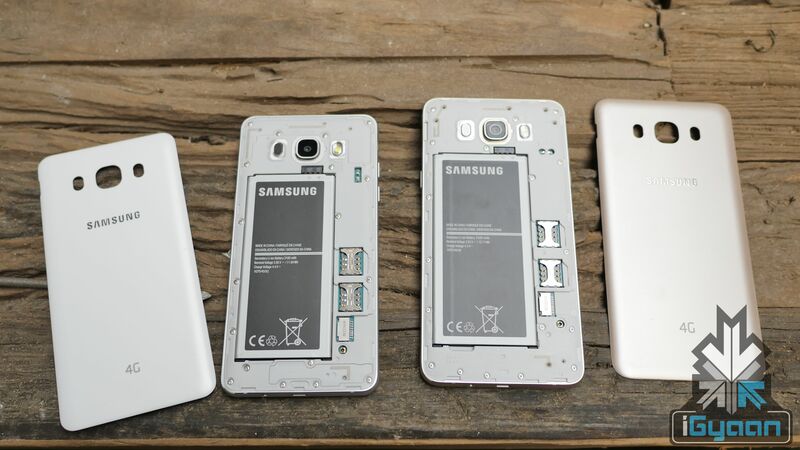 The battery on the J5 for 2016 is a 3100 mAh battery. The cameras on both the J series phone shave been upped with an aperture of f1.9 which will be appreciated and will offer better low light performance. The rear camera is a 13 MP shooter where-as the front camera will capture 5MP stills. Video is limited to 1080p. The Galaxy J7 for 2016 is a bigger brother of the J5 seen above it features a 5.5 inch Super AMOLED display with a 1280 x 720p resolution. You will get the Exynos 7870 chipset, 2 Gigabyte of RAM and 16 Gigabyte of storage out of which 11 Gigabyte will be available to the user. The J7 (6) will also accept 128 GB microSD cards. The J7 features a larger 3300 mAh battery and the same camera setup as the J5 (6). The J7 (6) too is a $G capable phone with dual-SIM capabilities. 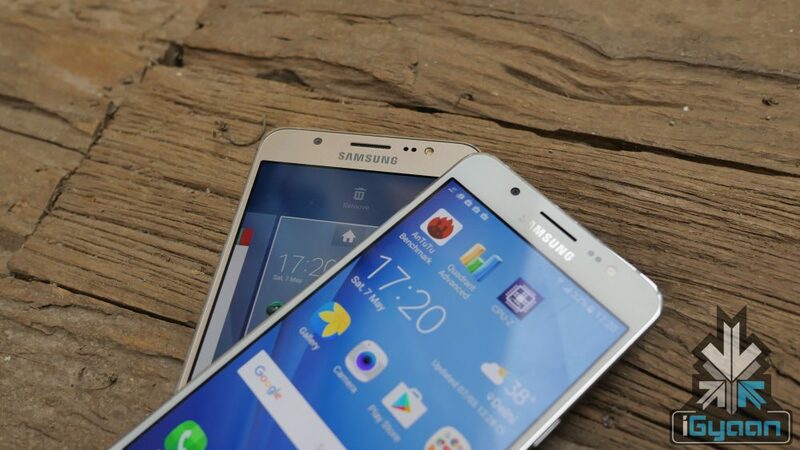 Both phones run Android 6 and feature Samsung touchwiz style user interface with Samsung and Microsoft apps preloaded. The phones feature a more robust metal construction, for the frame which adds rigidity and premium feel, while keeping the removable back panel and battery intact in the Samsung traditional fashion. The Phones go on sale at midnight on Flipkart, we will keep you posted with the links. For an Unboxing and Hands on Video click here.